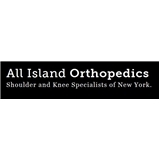 All Island Orthopedics (Bayside) - Book Appointment Online! ***PLEASE NOTE: WE WILL ONLY ACCEPT***: EmblemHealth: City of New York Employees (GHI PPO) Empire Plan: The Empire Plan (NYSHIP UnitedHealthcare)* Welcome to All Island Orthopedics With offices and hospital affiliations located throughout the City and Long Island we are here for you. Dr Stefanides is an expert orthopedic surgeon and always puts your care and recovery first. Mission Statement: Our goal is to provide the highest quality of medical care available to all of our patients. This includes state of the art treatment for general orthopedic diseases as well as athletic injuries. The ability to offer state of the art surgical and medical treatment is maintained by my active involvement in orthopedic the community. Innovative and minimally invasive surgical techniques are important to me to speed healing time and return patients back to work and athletes back to the field quicker. He took a great deal of time with me answering my questions and listening to my concerns. I am hoping that his diagnosis and treatment plan are going to,alleviate my pain. As usual, the visit was a good one. I was examined, questions were asked, x-rays were taken, and then we had a consultation. It was informative and I was put at ease with the answers to my questions.